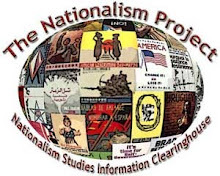 The Nationalism Project Blog: BNP's First Non-white Member? "Rajinder Singh is flicking through the Pakistani channels on his Sky box from his sofa in Wellingborough, Northamptonshire. Dressed in a crimson turban, he sits a metre from the ­enormous screen, translating the odd phrase for my benefit. He's trying to show me why he's determined to join the British National Party – the only party he considers "brave" enough to "break out of the burkha called ­political correctness". Last year, the Equality and ­Human Rights Commission forced the BNP to change its constitution on the grounds that restricting membership to ­"indigenous Caucasians" broke the Race Relations Act. A new constitution is expected to be agreed at a party meeting this Sunday, and if it's amended both Singh and the BNP think he would be ideal as the party's first non-white ­recruit. Communications and campaigns ­officer Martin Wingfield has personally endorsed him on his blog, calling for the party to "adapt and survive and give the brave and loyal Rajinder Singh the honour of becoming the first ethnic minority member". It feels strange to hear these words from a man in a turban, but Singh ­admits he's only wearing it for my ­benefit. He's not a religious man and is clean shaven, but he wore a turban the first time he ever had "media exposure" – on BNPTV, the party's online ­channel – and has decided to do so whenever speaking to the media because "the message carries more weight" coming from a turban-wearing Sikh.